ijwsmommy has no other items for sale. 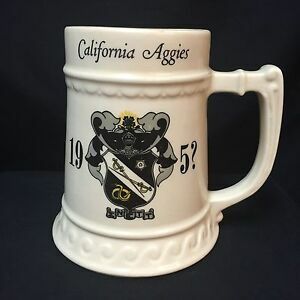 Details about Balfour California Aggies Sigma Nu Fraternity Tankard Mug Beer Stein VTG 195? Balfour California Aggies Sigma Nu Fraternity Tankard Mug Beer Stein VTG 195? At the American Cancer Society, we're on a mission to free the world from cancer. Until we do, we'll be funding and conducting research, sharing expert information, supporting patients with transportation to treatment, lodging and spreading the word about prevention. All so you can live longer and better.